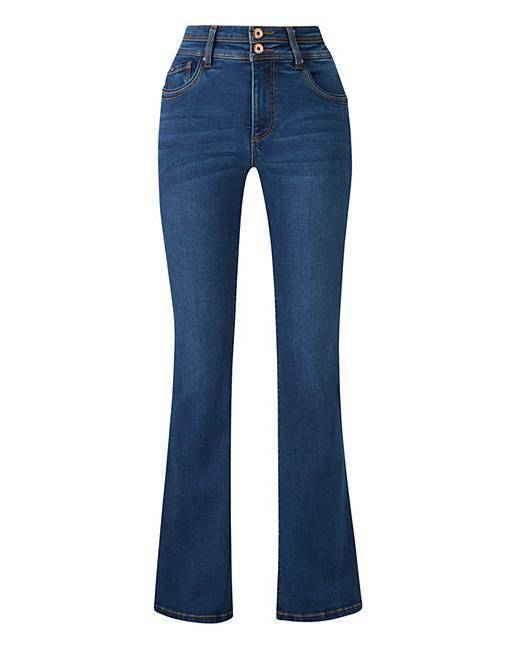 These mid-blue Shape & Sculpt bootcut jeans promise to compliment your figure and emphasise those gorgeous curves! The brand new multidirectional stretch denim works with your curves to help retain their shape giving an even better fit, meanwhile Tencel helps provide maximum comfort. The hidden sculpting control panel to the front promises to flatten your tummy, meanwhile the intelligent seaming to the bottom helps lift your derriere and create the illusion of a rounder, peachier bottom! 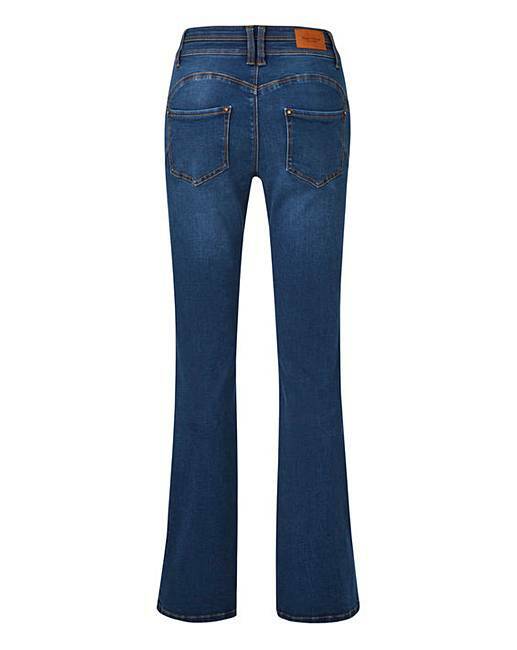 A must-have in every woman's wardrobe.